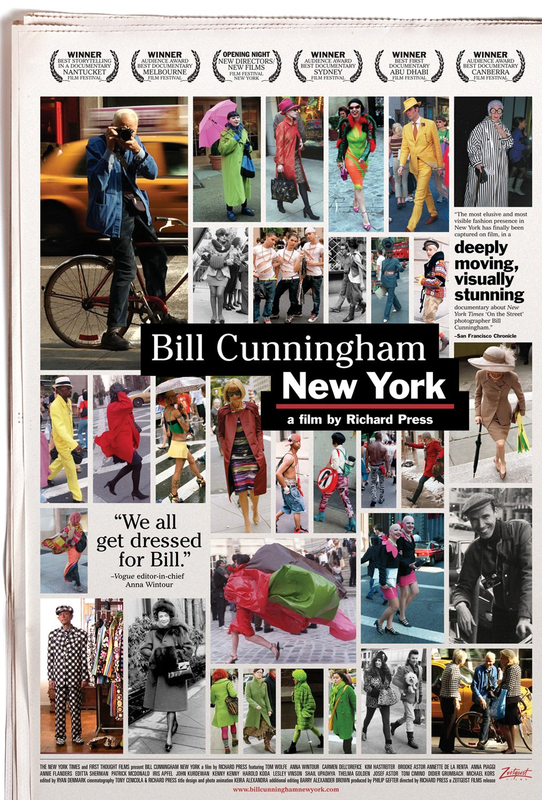 In the spirit and trend of The September Issue (2009), we meet Bill Cunningham, at large in NYC. He lives in Carnegie Hall and works for the NY Times, but you’d never know it. He likes it that way. He’d prefer to be invisible. He’s the eyes of the times into all things fashion, and he’d prefer to find the beat on the street where real people wear real clothing. His view is unique and his hunger insatiable. He just loves clothing. You won’t catch him without his camera, now an extension of himself. Loved this film! So much Joy.